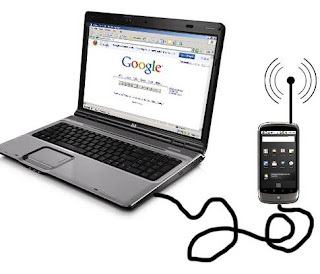 A new Hack allows HTC WP7 phones to be used as a 3G modem for Internet access. Windows Phone 7 may not be officially supported by Microsoft in India, but you can still buy WP7 devices from HTC. For those who have WP7 phones, a hack is out that lets you enable USB tethering on the devices. What that means is you can use the phone as a 3G modem to browse the Internet. That may be costly, but fast wireless connectivity doesn't come cheap here. The hack works exclusively for HTC's WP7 devices and you need to jailbreak the phones first. The intrepid one amongst you can use the tutorials here and here to go about the business. Needless to say, this is a risky business with a possibility of bricking the device, so tread down that path at your own risk. However, if your benevolent uncle from U.S. brought you non HTC phones like Dell Venue Pro or Samsung Omnia 7, you have it really easy to enable tethering with this tutorial for the Dell Venue Pro and this one for Samsung Omnia 7.